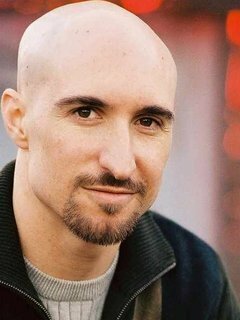 Scott Menville is an American actor, voice actor and musician. He is best known for voicing Robin on the Teen Titans cartoon series, Lloyd Irving on Tales of Symphonia, Freddy Flintstone in The Flintstone Kids, and Ma-Ti on Captain Planet and the Planeteers. He played a small role as Kimmy Gibbler’s boyfriend in Full House. As a musician, Scott was the bassist for the Southern California rock band Boy Hits Car, which has released three albums. Born Scott David Menville on February 12, 1971 in Malibu, California, USA, he is the son of Hollywood animator Chuck Menville (1940–1992). He had his first voice acting role at age 8 in a 1979 episode of Scooby Doo and Scrappy Doo. *He was born on February 12, 1971 in Malibu, California, USA. *He was a member of the rock band Boy Hits Car. *He is a huge fan of punk rock band Ramones.